Volkswagen is inviting designers, programmers, developers and interested users to help develop applications for the Infotainment systems of the future as part of the Open Innovation Contest, “App My Ride”. 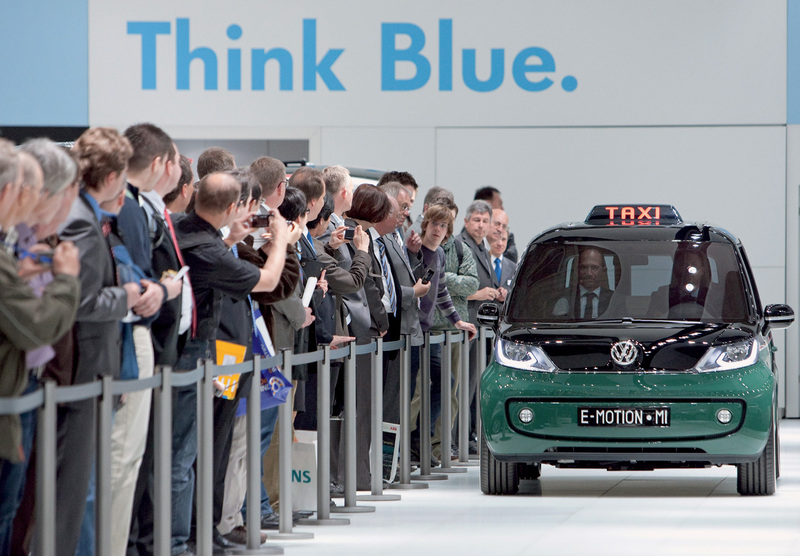 With this contest, Volkswagen has become the first car manufacturer to use the idea of open innovation for the further development of its products. 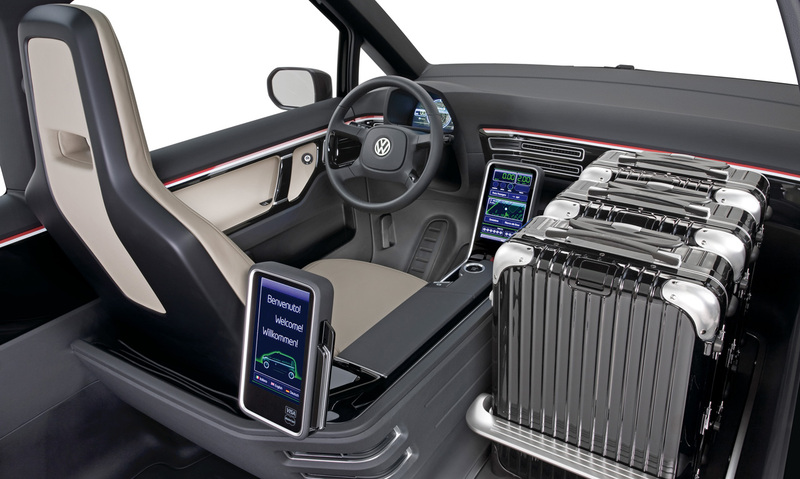 In the so-called “App My Ride” competition, users can jointly develop new Infotainment applications with Volkswagen. A jury of experts will select the winner whose creativity will be rewarded with special prizes. “Our aim is to invite the international developer community to take part in designing a future system,” says Prof. Dr Jürgen Leohold, Head of the Volkswagen Group Research. So-called apps, also known as application programmes for certain devices which are available through an online shop, have helped to contribute to the smartphone boom. Applications designed by users (User Generated Content) are of central importance to the boom and are made available online by other users. Companies like Apple and Google successfully aid this nearly inexhaustible source of innovation. 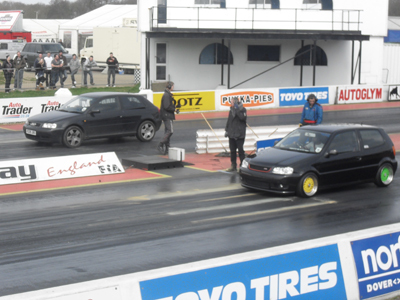 Santa Pod’s Powerfest. Putting The ‘Rush’ In Rushden! 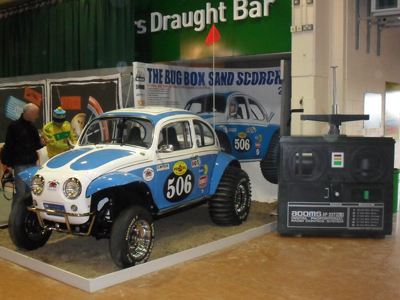 If you are a motorsport fan – or just want to see something a little out of the ordinary, make sure that you make your way to Rushden town centre at 2pm on the 22nd of May – for the Rushden Powerfest! This unique celebration of outrageous machinery parades through the town centre in order to promote the FIA Main Event which takes place at Santa Pod Raceway between the 28th and 31st of May. It’s a high-octane mix of powerful cars, motorbikes and dragsters pounding the tarmac in an unadulterated celebration of all things fast and loud! 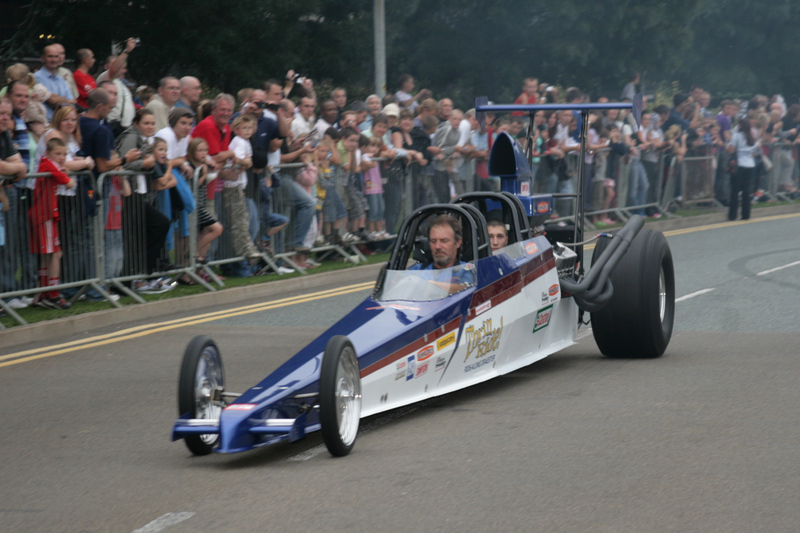 The event will feature dragsters, motorbikes and other machines parading through Rushden town centre. The route will be around the one way system in town from Duck Street, to Rectory Road, down Skinners Hill and back around again, avoiding all speed bumps. Any car enthusiasts with an unusual or interesting car are invited to send their details and car images to [email protected] in order to take part. Martin Hill’s Fireforce 3 Jet Car will be making a special guest appearance in the static display along with Santa Pod Raceways own Top Fuel Dragster and Merchandising trailer. Before and after the display, you will be able to find a selection of these monstrous machines on display in the High Street as a section of this will be closed off for the duration of the day. Drivers will start their engines at 2pm, so make sure you get into town early to get a spot right near the front. 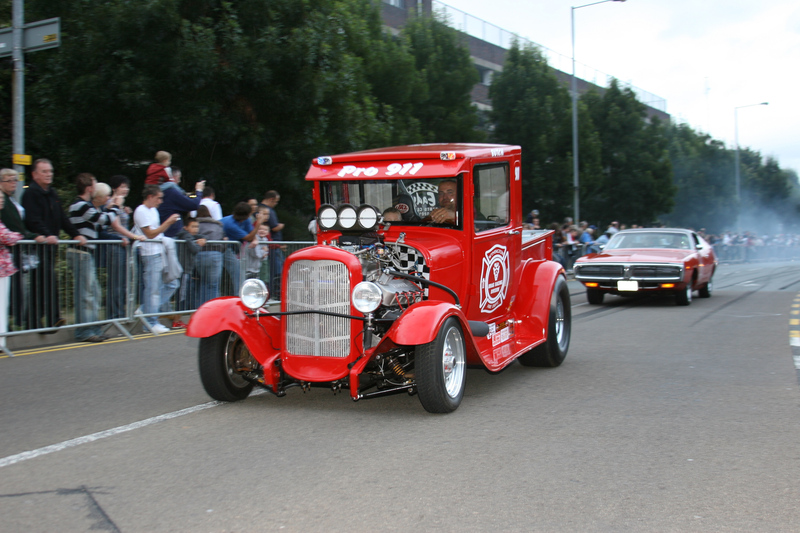 Some of these cars have literally 1,000’s of horsepower, so you do not want to miss the action! Orchard Place Car Park will also be closed all day. We are sorry for any inconvenience but please make alternative arrangements. Immediately after the Powerfest, Santa Pod Raceway will be gearing up for Europe’s most exciting Drag Racing season opener; The FIA Main Event! 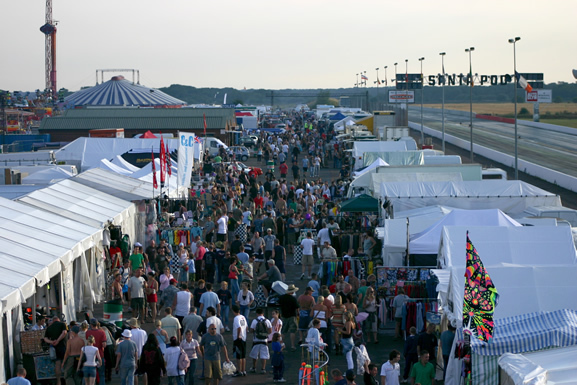 This hugely popular, televised event is the first round of the prestigious European Drag Racing Championship and features the largest race entry and most packed Motorsport event anywhere in Europe! Over 250 teams, and 16 race classes make this event unrivalled for both the quality and quantity of racing. Make it a date in your diary now! Friday 28th to Monday 31st May. 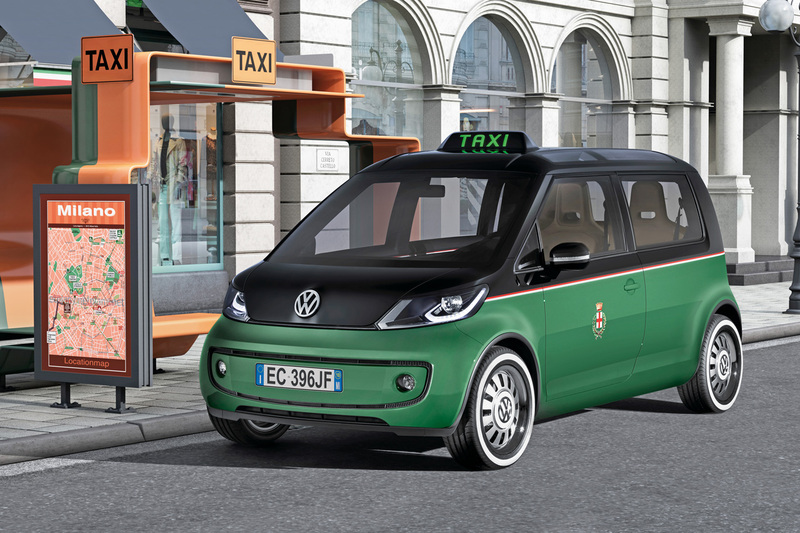 Volkswagen is unveiling a new compact battery-powered taxi concept called the Milano at the Hanover Trade Show in Germany this week. The styling draws heavily on the Space Up! Blue concept that debuted at the 2007 LA Auto Show. 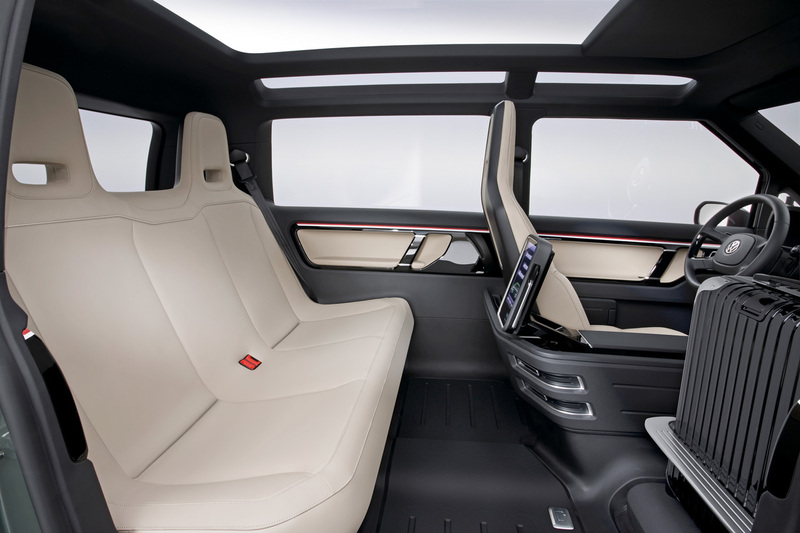 One big difference, however, is that VW designers have eliminated the rear door on the driver’s side so that passengers can only get in and out at the curb. The curb-side portal has likewise been expanded with a large forward-sliding door and the front passenger seat has given way to luggage space. 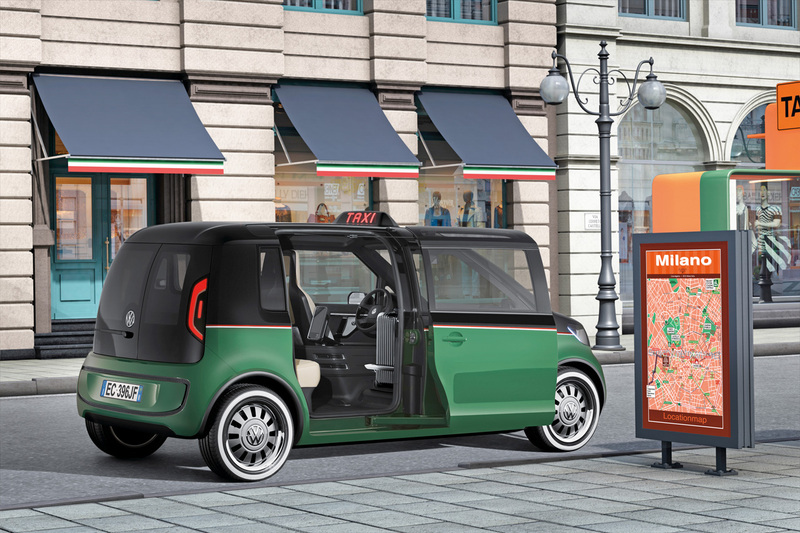 The Milano Taxi concept also features a similar touch screen monitor setup to those already being used in New York city cabs. 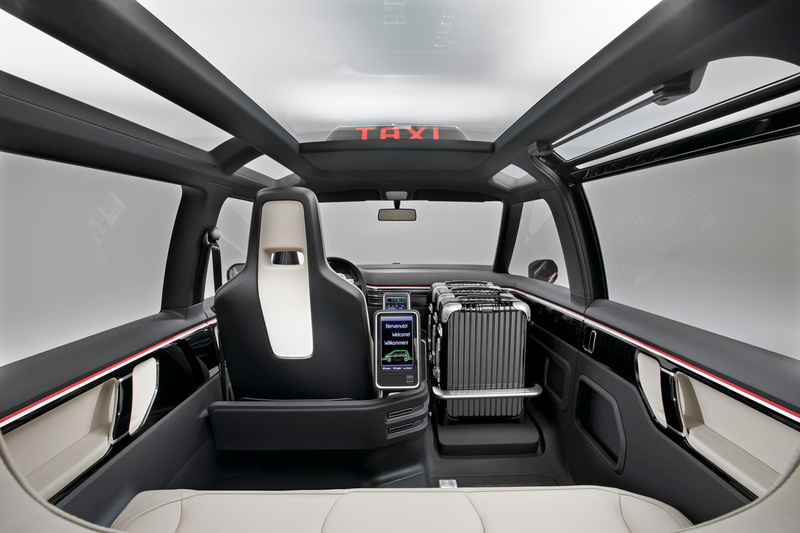 Like the production electric vehicles that Volkswagen will start building from 2013, the Milano Taxi uses lithium ion batteries. A 45 kilowatt-hour pack is mounted in the floor and provides a claimed 186-mile driving range on the EU driving cycle. 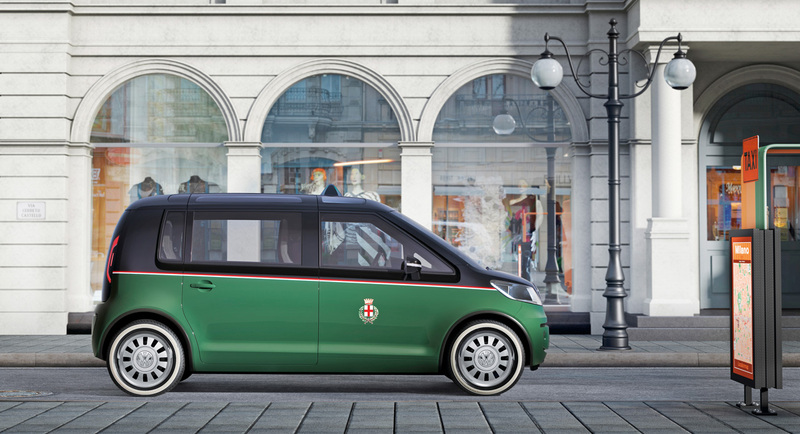 The Milano Taxi is purely a concept at this point, but since it appears to be based on Volkswagen’s “New Small Family” of low- and zero-emissions vehicles, we wouldn’t be surprised to see the German automaker put this vehicle into production as an easy way to get more electric vehicles into the field a few years from now. 1. 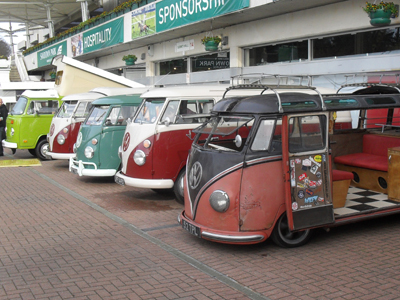 Drive your VW on the strip, whether it’s a Beetle, Bus or Golf, all shapes and sizes of VW are welcome for a mere £25 per day of unlimited runs. Just bring your driving licence and sign-on fee to the signing on office where you’re then set to run on the FIA approved track. You will also be able to collect free performance print-outs of each run showing a breakdown of speeds and times! 2. Kids Entertainment. 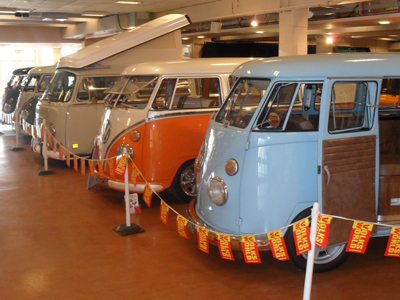 Big Bang is the family VW show and with a great selection of kid’s activities all weekend, it’s no wonder. There are kids parties, face painting, circus whizz (kind of like a workshop for circus tricks where you come and go as you please) and of course, they get to enjoy the rest of the show along with the adults and big kids! 3. Live Action, There are a whole host attractions as well as the track including a Monster Truck display, 260mph Jet Funny Car, UKFMX, the UK’s best Motocross display team, a classic VW Beetle powered by with a mahoosive jet engine, BMX displays and much more! 4. Championship Racing. 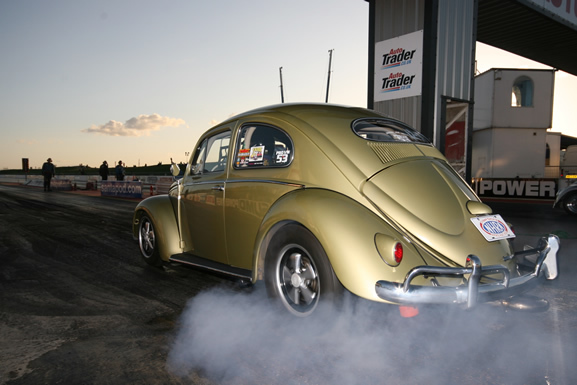 The VWDRC will be here to show you how it’s done with their specially prepped Drag Racing VWs. There are also a few other invitational classes including Super Modified and Street Eliminator so you can expect to see 7 second runs at over 170mph! There will even be a couple of sub-10-second bike classes to add even more variety to the track. 5. Live Music. 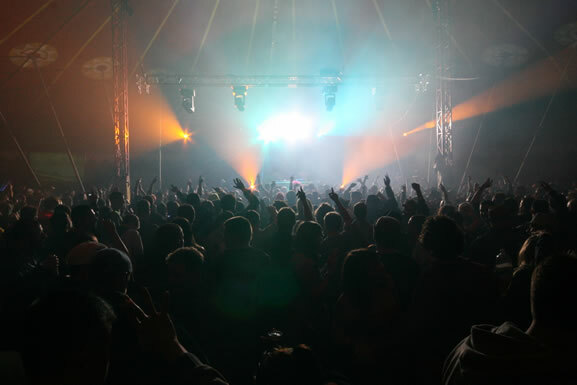 As always at Big Bang, there will be the Big Top Marquee as well as the bar, both hosting Live Music for you to choose from, as well as Funky House and Anthems from DJandyB, LeeDagger and a tribute night with tributes to Duffy, Lady Ga Ga and Scissor Sisters plus loads more live bands. It’s all part of your ticket price. So no excuses for not getting them in! 6. Live Magic/Comedy. Magician Alistair Cook will be performing a live magic show with a twist as he provides even more entertainment for your viewing pleasure. But no, as good as he is, he can’t make your hangover disappear. Only bacon rolls can do that. 7. Traders. 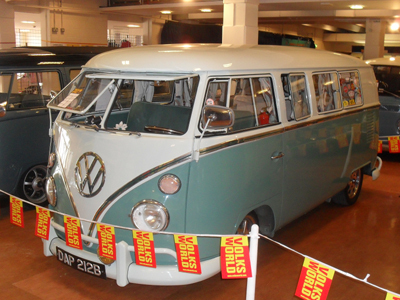 Owning a VW, the chances of you needing a part of some description will be quite high and with such a large number of traders together in one place, whatever you’re looking for, you’ll be able to find it here! Everything from sunglasses to branded surfwear is on site and don’t forget the Pod Shop for all of your camping needs, supplies and official show merchandise. 8. Autojumble. 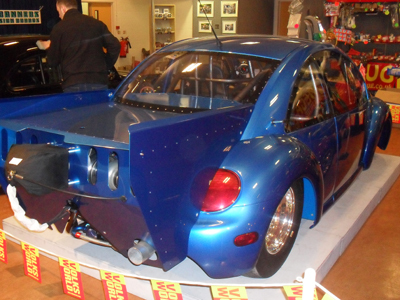 Not bothered about fitting all of the shiny parts to your VW as long as it does the job? 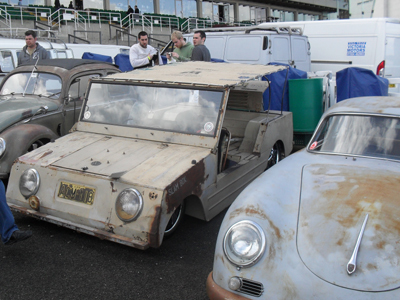 The Big Bang Autojumble could be the answer! 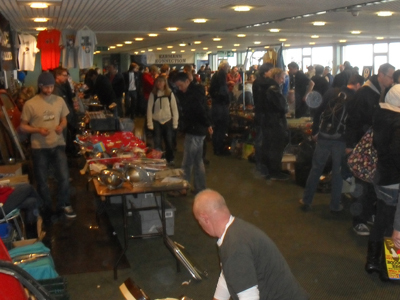 There are some great bargains to be had in this second-hand area and you might even find something rare and valuable! 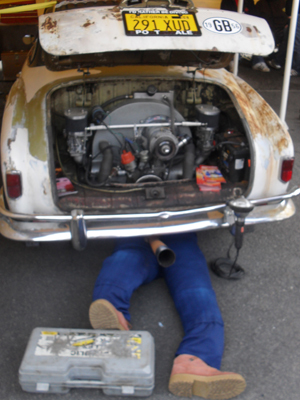 On the other hand, if you have a veritable scrapyard of second hand parts at home or just a handful of spares – the Autojumble is the ideal place for you to get it shifted. 9. Cars For Sale. Whether you’re looking for your dream ride or next project, be sure to check out the Cars For Sale area, as there’s bound to be something for you. For sellers, this is the perfect place to advertise your car as there’s nowhere else in the UK that you will find such a large number of VW enthusiasts in one weekend! 10. Show & Shine. 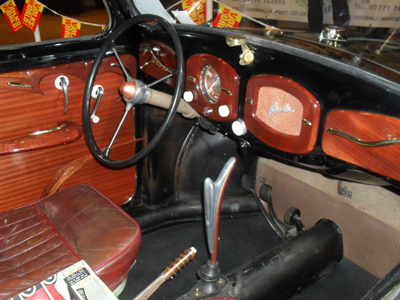 Got an awesome custom car, rare original or restored stunner? 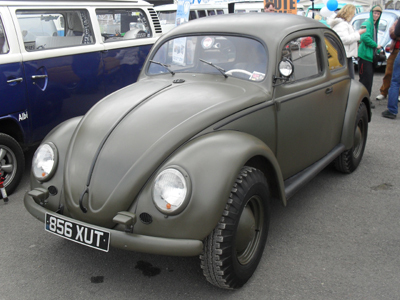 Whatever species of VW it is, if it looks cool, get it into the Show & Shine on Sunday. It’s free to enter and you’ll be sure to have a crowd to appreciate your efforts. New for 2010 there will be a “Get Yer Rat Out” competition taking place on the Saturday. Due to the Show & Shine’s ever growing popularity they have even separated the rats from the shiners to ensure that no one gets turned away! 11. Handling Track. Straight lines not really for you? Well this is a great opportunity to show your skills with Big Bang’s handling track. Put your car through its paces in this track designed especially for those lighter, more nimble vehicles – and there’s even a trophy for the quickest time of the day! 12. Wired For Sound. Big Bang has its own radio station, Nitro FM on 96.2FM, tune in, either in your car or bus – or listen out to the on-site PA for some great tunes, useful information and reminders about what’s on and where. Also text in and get your message read out on the air! There was even a marriage proposal via this method once. No idea if she accepted though. 13. Designated camping areas. with Santa Pod’s huge grounds, The BB team has separated the camping areas to make the whole experience better for you. There is club camping, for those that want to display your cars in a prime area and reserve space for fellow club members, Family camping for those of you with ankle-biters, quiet camping for those that might just want a peaceful early night, but don’t have kids with you and finally general camping. Wherever you go, please respect your neighbours! A weekend away is no excuse to forget good manners. 14. 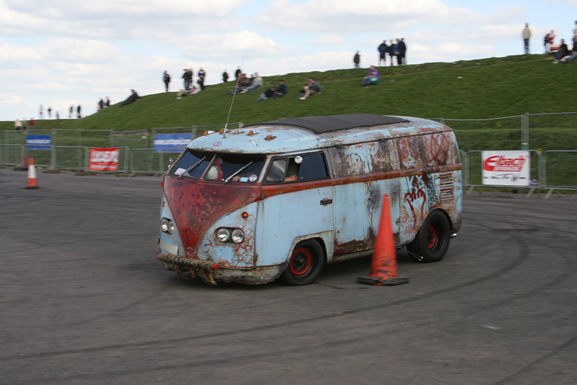 Alternative Energy Racing. Turn up on the Friday and you will see an entirely different show altogether as Big Bang will be running alongside Alternative Energy Racing. Understanding the effects of the pollution and current world, (Pah!..allegedly.. BB!) Santa Pod Raceway is hosting this event to encourage environmentally friendly race cars and bikes. So, who knows? You could see the future of drag racing at this very event! Peace! Friday will also seethe buses from BWA and USB and the Cal-Look Bugs from Green Heart and SAS re-balancing the ‘carbon footprint’ on the track. 15. The final – and probably the best reason to go to Big Bang – is the price! For a mere £35 on the gate you get access to see everything listed above. 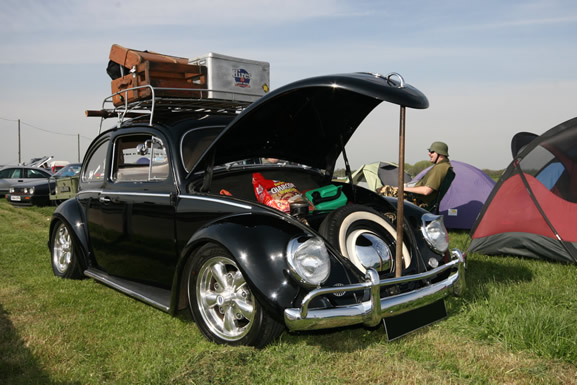 Your camping and parking is included, grandstand seats are free, entrance to the music and magic shows are free, you can even enter your own vehicle into the Show & Shine and have a go at the Handling Track, Baja Course, Art Bug and Human Powered Racing for no extra cost! There are many more reasons to attend, but these 15 should give you some idea – miss it – miss out! Words and pics by Chris ‘Funkmaster Red’ Redford. 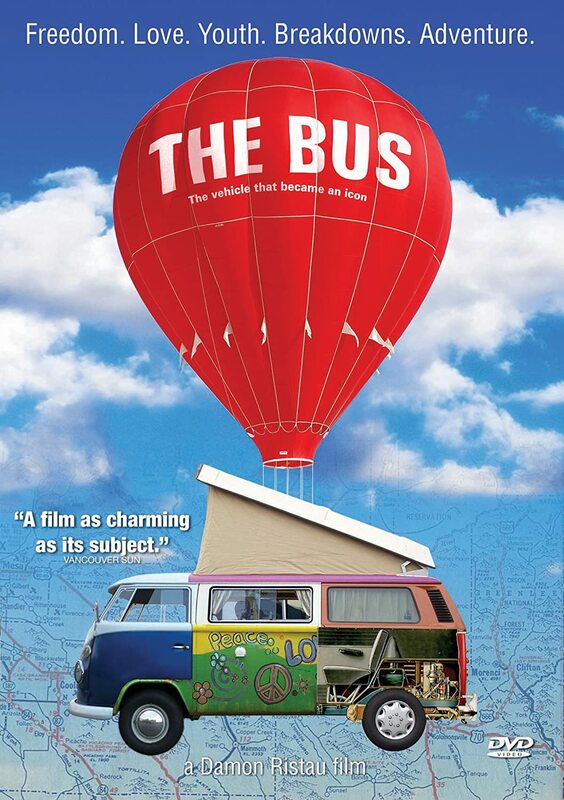 Although the name suggests this is a show with a niche audience, that presumption couldn’t be further from the truth. 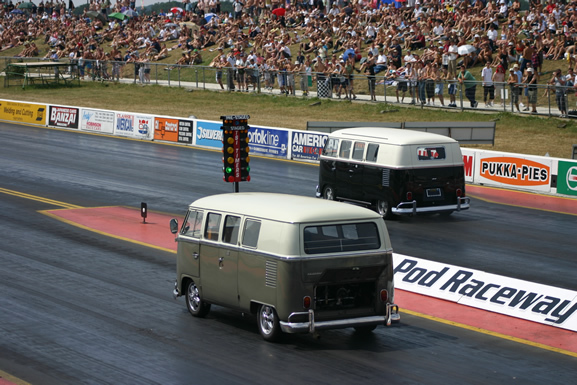 Each April Santa Pod Raceway near Northampton is swarmed with VWs of all shapes and sizes all coming to enjoy the show and either take part in or just to watch the drag racing action on the world famous strip. It’s actually a show that welcomes all the current and past vehicles that come under the V.A.G marque. From classic Beetles to Golfs and the latest Audis, Seats and Skoda’s, everything that is related to Volkswagen is invited to take part. 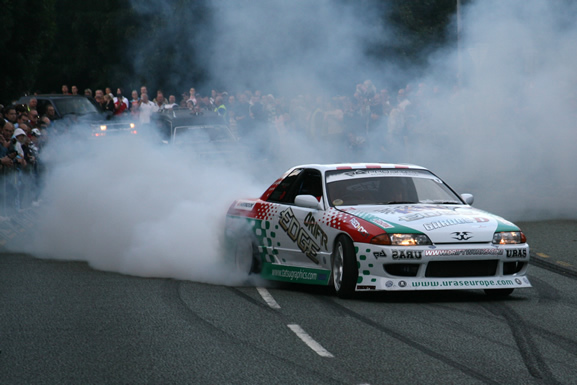 Although only a one day affair, the show attracts a huge amount of interest and marks the first opportunity of the year for V.A.G fans to take part in drag racing exclusively amongst their peers. I’ve been for several years in a row now and the show just keeps on getting bigger and better. This year was helped by a fantastic weather forecast and as soon as the gates opened at 8am, the cars started to pour in. The show and shine filled up very quickly and by 11am there were around 200 cars lined up and being shined to death by their owners. The show operates a ‘Top 20’ award system which is the fairest way to ensure the most deserving cars walk away with trophies for their efforts. The club area was also bursting and was filled to capacity with a huge variation of cars representing their various clubs. Meanwhile, on the strip, rubber was being burnt all day long with the V.A.G only ‘Run What Ya Brung’. 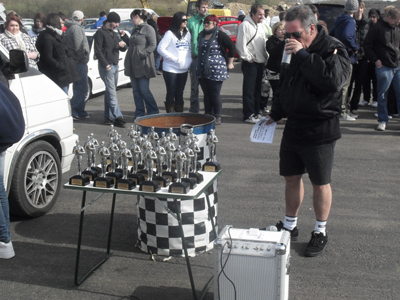 Trophies were awarded to the fastest cars in each of the classes and so people were doing their best to get in as many runs as possible especially because it was a lovely warm day and there was a helpful tailwind. The ‘fire up’ lane was packed all day. The famous ‘Fireforce Jet Car’ wowed visitors with two sub-6 second passes during the afternoon and with a large number of traders plying their wares, there was plenty for the punters to see and do. At the end of the afternoon, the trophies were handed out for the show and shine and the drag strip competition and they went to some very deserving participants. 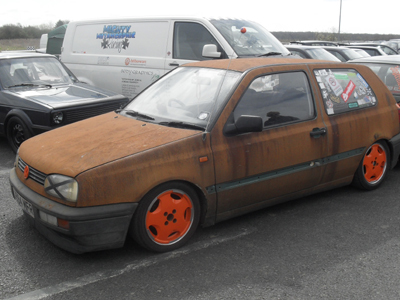 The number and quality of the cars on show meant the judges had a very tough job. 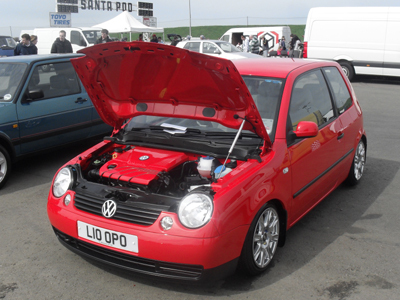 Janet Edwardson took top honours in the show and shine for her Lamborghini inspired Mk4 Golf and the main talking point of the day was Andy Waite running three sub-10 second quarter miles. The best was 9.8 seconds at 148 mph! The really crazy thing is that it’s a fully street legal car. 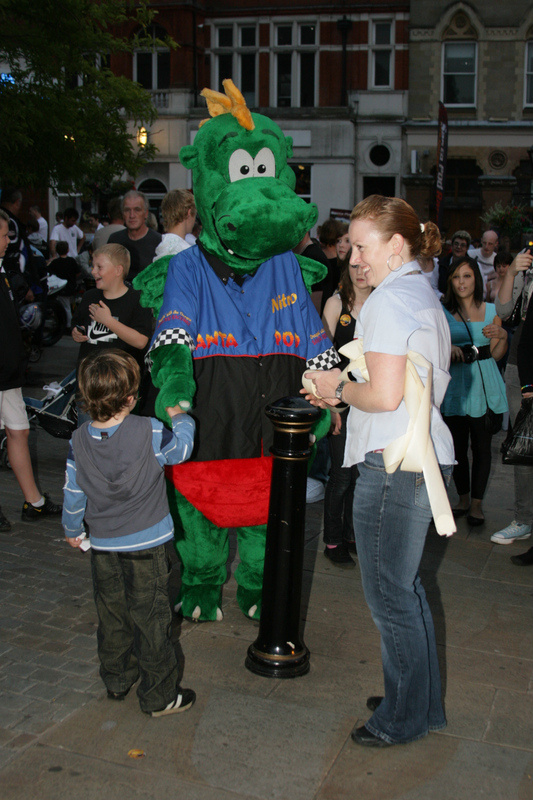 At the end of the afternoon, everyone who attended went home happy and looking forward to VAGfest on July 11th. PLEASE CLICK ON THE THUMBNAILS BELOW FOR LARGER PICS. 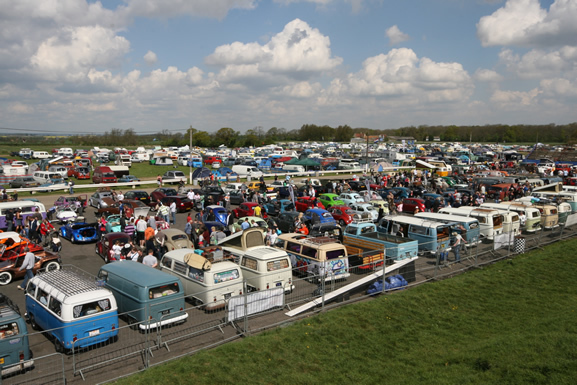 The annual convergence on Sandown Park in Surrey by many thousands of VW fans marks the true start of the show season. 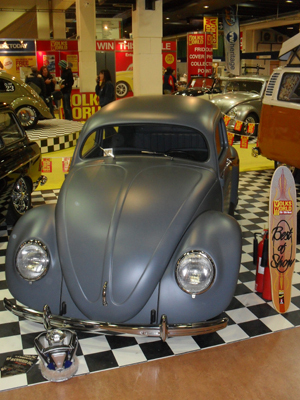 Now in its 16th year, it is no surprise that it is so well attended as the show attracts some of the very best show cars from all over Europe and sometimes even further afield. This year was no exception and over the weekend of the 27th-28th of March, the venue once again filled to capacity with some very delectable German metal and many eager punters who came to look and drool. PLEASE CLICK ON THE THUMBNAILS TO VIEW LARGER PICS. 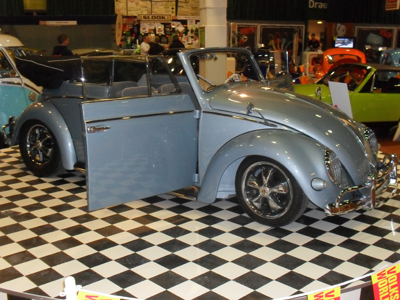 The show has it all, from show cars that are examples of perfection to club stands, traders, a swapmeet and various displays, activities and demonstrations taking place throughout the weekend. There really is so much to take in that you can spend the whole weekend there and still not have seen it all. 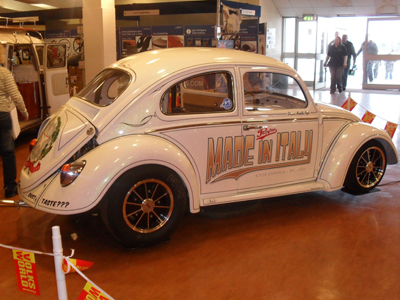 As soon as you entered the main doors you were greeted by an original ‘Herbie’. 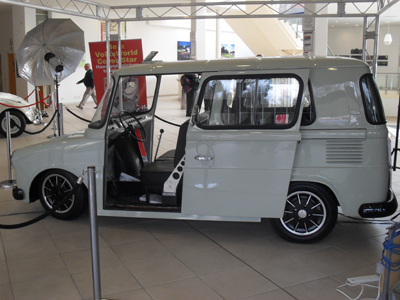 Next to that, the newly revamped Volksworld Fridolin was on display and people could make a donation to charity to sit inside it and have their photo taken and then made into a replica front cover of the magazine. 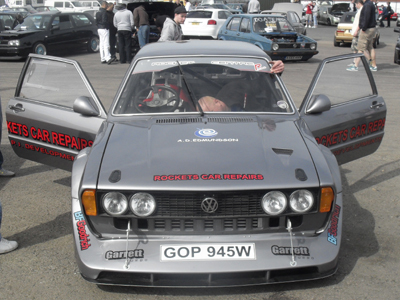 VW Heritage were also on hand to convert the giveaway Beetle into an Empi GTV replica over the course of the weekend. 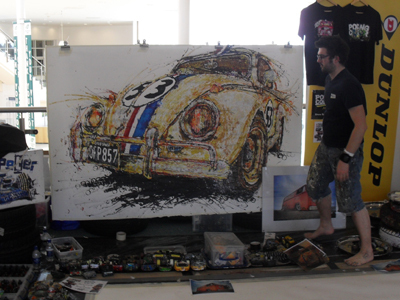 To one side was an artist creating paintings by dipping the tyres of remote control cars into paint and then driving them around on canvas. When you left the entrance hall, you were immediately faced with the show cars. They were spread over 2 floors and this year, the variation and quality was breathtaking. There were too many to mention them all but the ones that stood out in my mind were the ‘Baja’d’ Brazilia, The Hammered Inc., roof chopped, split window Beetle, A Split powered by a mid mounted V8, a replica of a Tamiya Sand Scorcher, an insane New Beetle funny car, a ‘Steampunk’ inspired Split window Beetle and there was also a Hebmuller sat next to a custom hard top version. All of the above drove away with Top 20 awards for their efforts. Outside, the SSVC put on their usual, excellent display and were joined by the Early Bay club and the T2D stand. The Type 2 Detectives had 3 of their best creations on display. 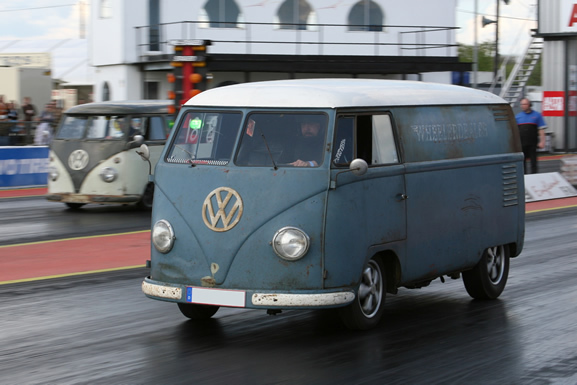 The notorious ‘TV Bus’ was joined by their slammed Brazillia and the recently finished and stunning Mk 3 Golf which uses a Type 3 chassis and a Type 1 air-cooled engine to get it moving. 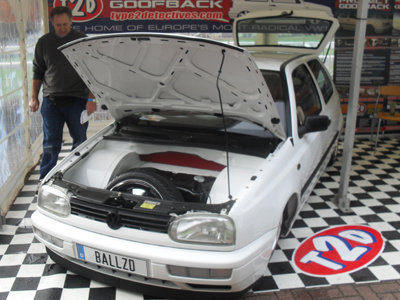 This also won a well deserved Top 20 award, which is the first time a Golf had ever taken a prize at the show. 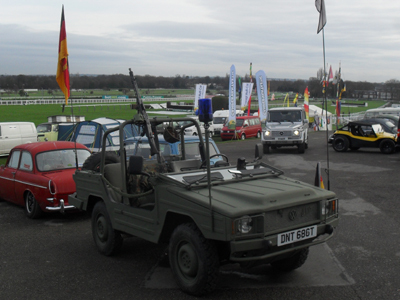 Outside, the club area was equally as busy with some excellent vehicles and inventive stands. ‘New Waves’ and ‘’The Panzer Paint Scrapers’ duelled it out once again with excellent displays and this year the former was the victor having supplied their own sound system to keep people entertained. 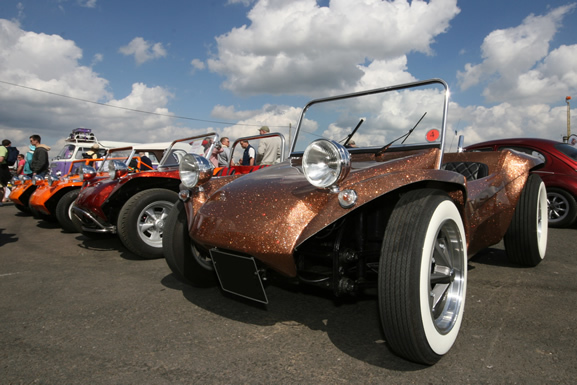 The cars on display ranged from Bugs to Busses, Trekkers to 356’s and even some of the rarest VWs in the U.K namely an Australian Country Buggy and an Iltis. After the show closed on the Sunday, the majority of people left with an exhausted smile on their faces. There were of course the usual online gripes over the following days concerning expensive food, a packed swapmeet and difficulty in parking but these are all a testament to how successful the show is. 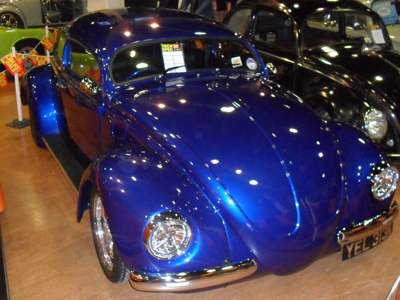 The Volksworld show is up there among the very best VW shows in the world and I’m already looking forward to 2011. It’s NOT an App – it’s just a lite browser skin – designed to make viewing and posting on VZi quicker and easier on a mobile ‘phone. We believe we’ve pared it down to still leave enough to give the ‘VZi Experience’ whilst allowing it to be very quick. We’ll be interested to hear (read) your thoughts. Originally designed to work on an iPhone, it should work on any device that runs a browser – although some Blackberry users appear to have issues. There’s a thread running HERE. Anyway, here is how to ‘activate’ it . . .
1) Go to your ‘phone’s browser and log in to VZi as you would normally do. 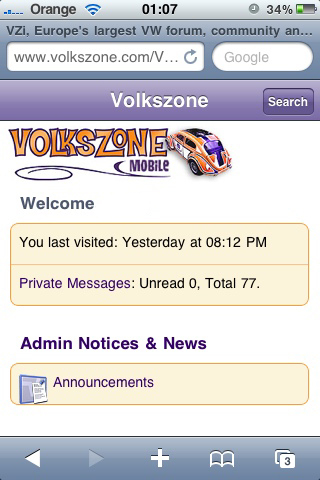 2) Scroll down to the bottom lilac/purple bar (the one that has ‘Contact Us’ and ‘Volkszone’ in) . . . on the lefthand side you’ll find a drop down box . . . zoom in on this, click (press) and select ‘Mobile’ . . . et voila! 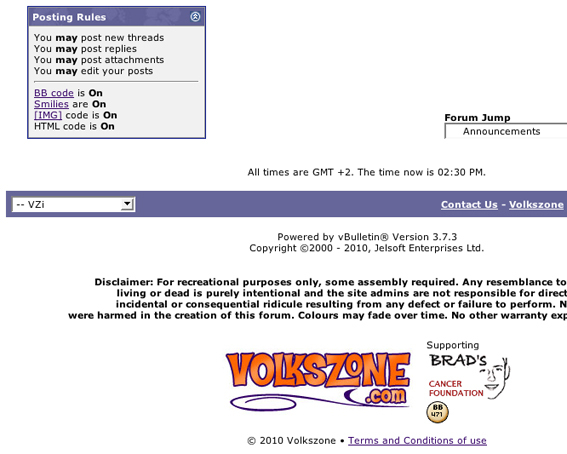 (If you need to get back to the full version of VZi, there’s a ‘Normal Version’ button at the bottom of every screen (in the purple bar) and we’ve made it so it takes you to (keeps you in) the page you were viewing. Please note, this is only available to VZi Member Sponsors. For details on how to become a VZi Member Sponsor (and its associated benefits) please click HERE.